Below are answers to questions asked often about PureBond® plywood. For answers to questions about planning great cabinetry or furnishings for your kitchen, check out our How-To Center. If you have technical wood questions, Ask our Experts. What makes PureBond® hardwood plywood “green”? PureBond plywood utilizes a soy-based, alternative to toxic, formaldehyde-based resins. In other words, PureBond replaces a toxic substance with a completely non-toxic substance. Our wood is sourced from sustainably harvested North American forests, a renewable resource. Additionally, PureBond can be specified as FSC-certified, making it good for you and the planet. 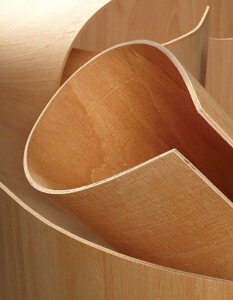 Where is PureBond plywood made? 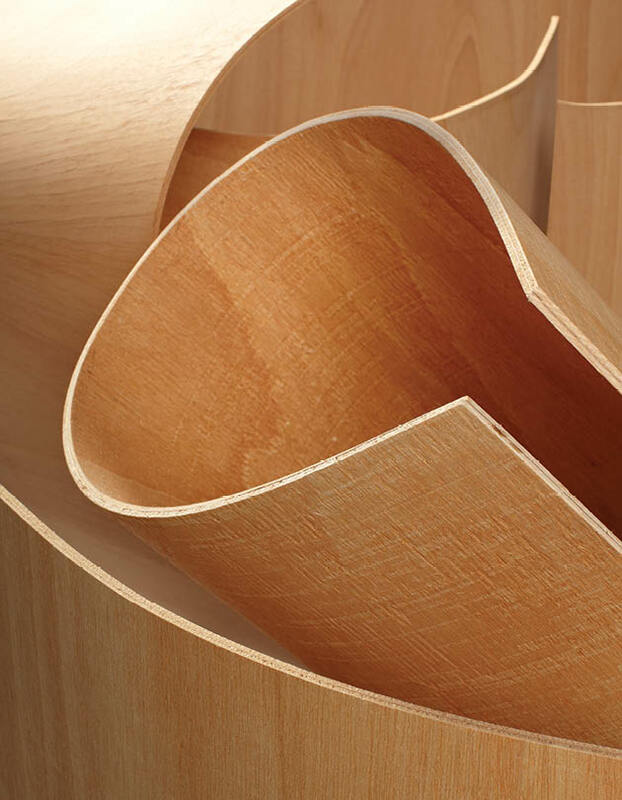 All PureBond® hardwood plywood is made from responsibly harvested North American trees and is manufactured at our seven plants in the United States and Canada. What is IAQ and why is it important? IAQ (indoor air quality) is a term used by the Environmental Protection Agency and other groups to describe the air conditions within our homes, schools and offices. Believe it or not, indoor air can be two to five times more polluted than the outside air. So this is an important issue when you consider that we spend the majority of our lives indoors. In fact, according to the EPA’s National Human Activity Pattern Survey, approximately 85% of the average American’s life is spent indoors. When we understand that statistic, it’s no wonder IAQ has become such a hot topic! Serious health ailments can result from poor IAQ – things like respiratory disease, hypersensitivity pneumonitis, heart disease – even cancer. Formaldehyde is a chemical compound. It’s a colorless, pungent gas and common volatile organic compound (VOC). Formaldehyde is used as a component in many products including disinfectants and preservatives, clothing and textiles, plastics and coatings. It is also a by-product of combustion and certain other natural processes. Human beings and plant life actually produce small amounts of formaldehyde on a daily basis! Urea formaldehyde resins are commonly used in permanent adhesives such as those used in hardwood plywood, particleboard and medium density fiberboard (MDF). Urea formaldehyde can “off-gas” for a period of time after the manufacturing process is complete. The U.S. Environmental Protection Agency (EPA) defines a VOC (or Volatile Organic Compound) as any organic compound that participates in a photoreaction. Formaldehyde is a VOC commonly found in pressed wood products, as well as in many other products throughout your home. What is no added urea formaldehyde (NAUF)? This is a term used in the construction industry to describe materials that have no added urea-formaldehyde in the manufacturing process. The term refers specifically to the binders used in composite panel production. When we say PureBond® technology is “formaldehyde-free,” we’re describing the way our hardwood plywood panels are comprised of no added urea formaldehyde components and assembled with zero formaldehyde adhesives. We don’t add any formaldehyde to the products we call “formaldehyde-free,” whether in the resin or the wood that makes up the core of the panel. Can PureBond panels be VOC free? Columbia does not use any VOC additives in our manufacturing process. However, it might surprise you, but natural wood is not a VOC-free material! Naturally occurring compounds generated by trees while growing, are called extractives. Although the volatile elements commonly found in many wood species are generally non-toxic to most people, some people with extreme sensitivity may want to choose a species like maple or birch which are the least reactive in an indoor environment. What is in the adhesive in PureBond Hardwood Plywood? PureBond® technology uses a formaldehyde-free adhesive derived from food-grade soy flour plus a wet strength resin used in printed currency and milk cartons. There is absolutely no added urea-formaldehyde in the adhesive or the components. The soy flour in our glue is both kosher and halal.